Justice is not a result. It is a process by which certain variables determine a result. In the game of Scrabble, the variables are the values of the tiles. If the tiles are selected according to the rules, the outcome of the game is fair, even if the most skillful player loses. In the law, the variables are the judge and the jurors. If the rules are fair and are followed, justice will be done, even though the most skillful lawyer loses and even if the outcome is unfair. Books are also available at most bookstores. if your favorite store does not have our book then ask for it by name. This book takes Ernest Hunter, known to his colleagues in the legal profession as Ernie the Attorney, from the streets of Detroit to the backroads of Michigan’s Upper Peninsula. Faced with a series of challenges that will test his courage, creativity and luck, he discovers that the law is as fickle and imperfect as those who enforce its mandates. When judges and juries impose their own brand of justice, the law’s predictability becomes an illusion. 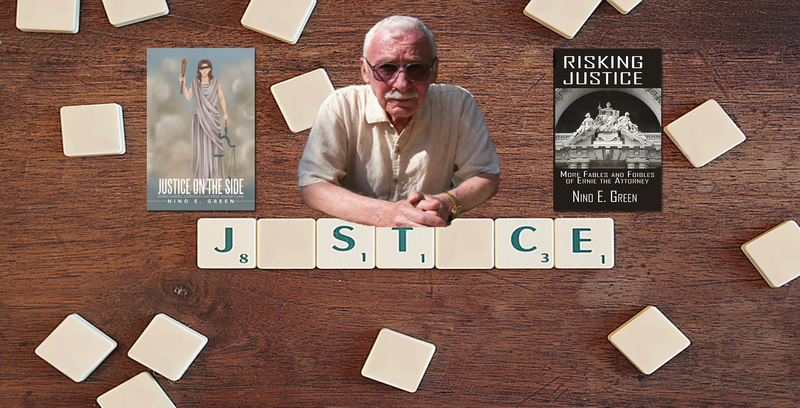 In Risking Justice, Ernie Hunter, a/k/a Ernie the Attorney, discovers that his skill as a lawyer isn’t always good enough to win the day. Sometimes it takes a lucky break. 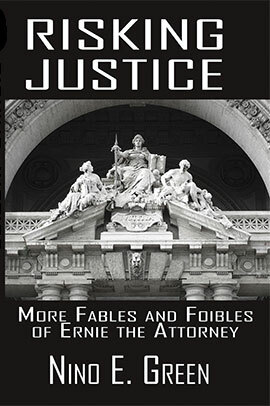 Whether a case involves a serious enterprise or plain tom- foolery, Ernie knows that his client believes that the cause is just. He also knows that the quest for justice can be a fools errand. 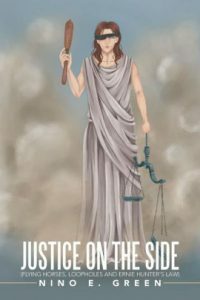 Ernie’s story is about the real world cases that a lawyer grapples with on a daily basis and the unexpected events that can turn an open and shut case into a gamble. As Ernie rolls the dice, he can only hope that his client’s lucky numbers will be in play.